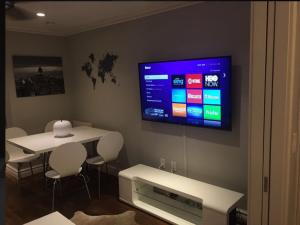 [UPDATED below 11-20-17] In mid-October, 2016 we heard from a gentleman named Steven who was looking to rent a large apartment in New York city for an upcoming family wedding. Since the event was short term Airbnb seemed to be a great choice for visiting family and friends. After a thorough search he found a beautiful multi-bedroom apartment that was newly listed on Airbnb and contacted the woman offering it. Her name was “Audrey,” audrey@kotair.com, with phone number 224-225-0094. After a few emails Steven confirmed that he wanted to rent the apartment and asked for details to make it happen. He was sent a very professionally crafted email that looked like it came from Airbnb but the entire email is an absolute fraud and didn’t come from Airbnb. Take a close look at the email he received. Can you spot the fraud? There are two very important details in this email that reveals it as fraudulent. Now that Steven had taken the bait without becoming suspicious, all the scammers had to do was reel him in. 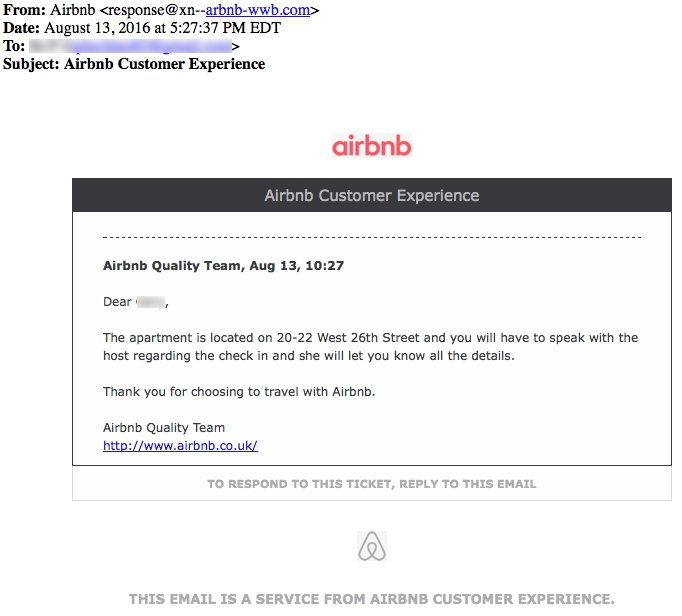 What followed were well-crafted confirmations from the same fake Airbnb email address. The first email below says “Airbnb” six times! It’s as if the recipient will believe it more because they say it a lot! Understandably, Steven was extremely upset by once he figured out he was scammed out of $2,526. He had wired it to a Barclay’s bank account in the UK and never saw it again, never heard from “Audrey” again, or anyone else associated with the apartment. 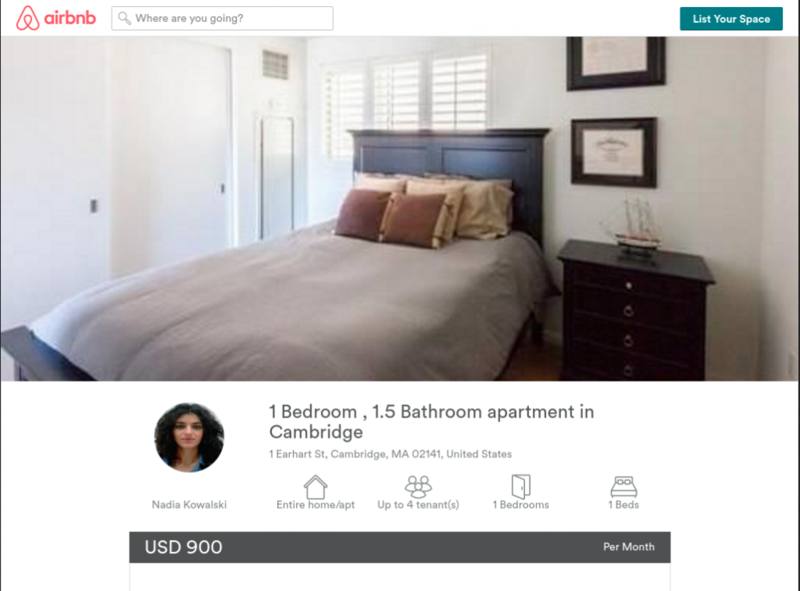 “Audrey” had created a fake profile on Airbnb, created fake emails representing Airbnb and pulled off a well executed fraud. Of course, Steven complained to Airbnb that they had no screening process and the scammer had used the Airbnb website and letterhead. Unfortunately for consumers, services like Airbnb or Care.com can never really screen out criminals from their services because it is too easy to deceive others online, as Steven discovered. However, we noticed another interesting tidbit about the apartment ad placed by “Audrey.” The ad was listed as “NEW” and had not been reviewed by other Airbnb guests. Obviously some apartment listings must be new, but it made us wonder about that “new” listing. 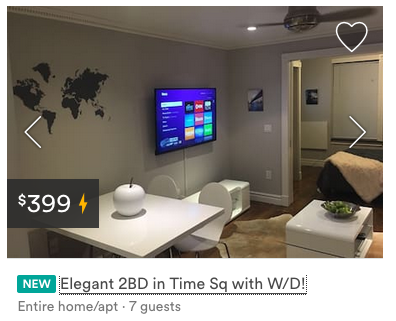 We had no problem creating an account in Airbnb, heading back to New York listings and finding another apartment listed as “new” and without references from any other guests. And we wondered… Is this the next scam trap or is it a legitimate new listing? 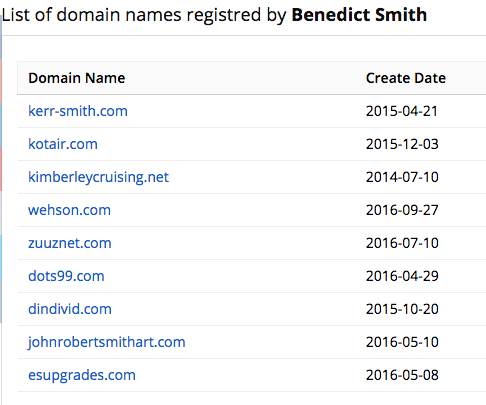 We noticed some newly registered odd domain names and wondered if we might hear from other Airbnb members who are scammed and receive emails from any of the domains registered to Benedict Smith, like wehson.com or zuuznet.com. Only time and our readers will tell. 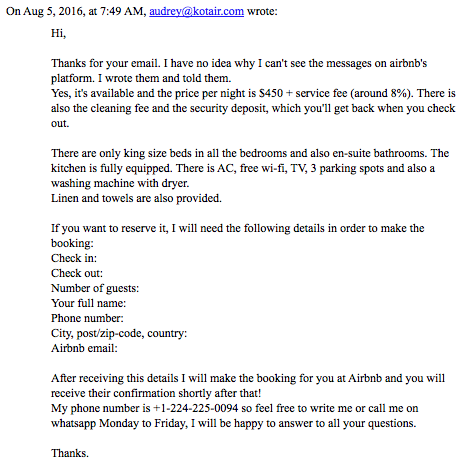 A TDS Reader father sent us the email below after his 20-year old son asked him if this Airbnb listing seemed legit. Nevermind the fact that the 20-year old was being asked to wire the deposit to Italy, look at the email address the listing came from! The from address reveals the scam. 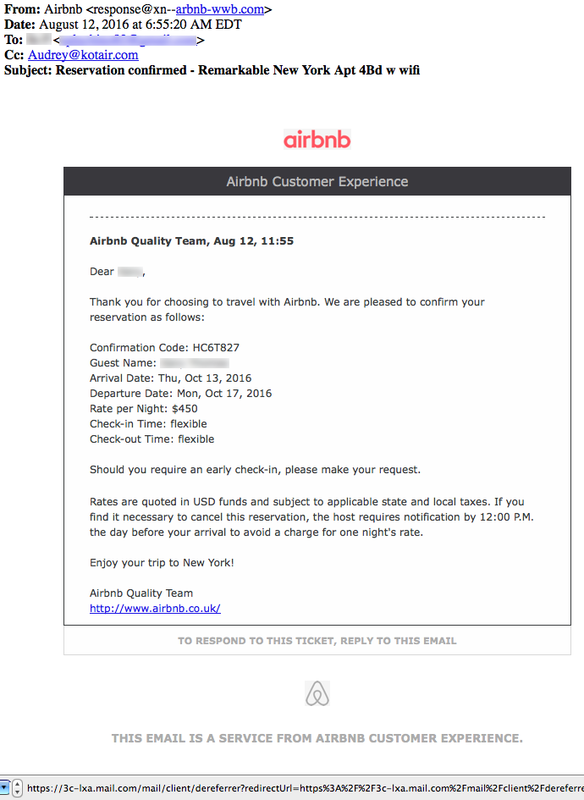 The email was sent from airbnb-trust.com not airbnb.com. The domain airbnb-trust.com was registered on December 17, 2016 by someone named “Cristina Rigoni” from Pero, Italy and the site is being hosted in Italy. Google can find the domain but offers no information about it. This is a sham site. Thank you for your interest. My name is Nadia Kowalski, owner of the unit . I am happy to let you know that my unit is available for a long and short term lease period. I set the monthly rent at $900 with all utility bills included ( hot / cold water, gas, electricity, cable & Wi-Fi ) and I also require a security deposit $900 refundable after the lease period. It has all the necessary amenities such as cable TV, high-speed internet, air conditioning, own washer and dryer, private parking. Well behaved pets are allowed. 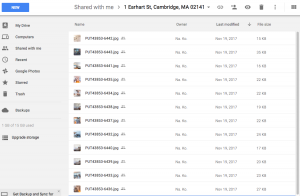 The link in the email went to a shared Google folder containing photos of the apartment. 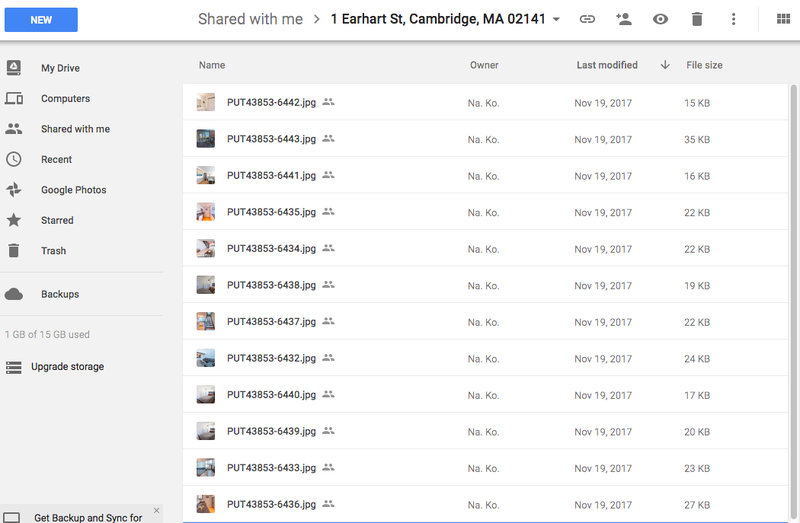 Here is a screenshot showing that “Nadia” had uploaded the photos that very day the email was sent. I can rent it for as long as you want. The unit is empty and you can move in right away. I will gladly sign the contract with you if we can reach an agreement. As I explained in the previous email, I live in Poland. Unfortunately, I don’t have any friends or other person back in United States who could arrange a viewing with you. 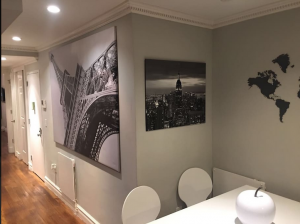 In order to make the rental process easier for both of us, I would like to use Airbnb.com (https://airbnb.com/trust) as they are currently managing my property. I got my property listed there and I will provide you the link so you can complete the booking by yourself. You can rent the property from few months to unlimited time ( few years ). After you complete the booking you will receive the deposit details and rental contract which must be signed by you . After booking they will require the first month’s rent + one month refundable deposit, meaning a total of $1800 has to be deposited with Airbnb. You will receive the refundable deposit when you finish the contract. Keys will be mailed to your location after lease contract is signed by you. If you are not satisfied with the property you can cancel the contract at any time and get full refund. let me know if you want to begin rental process and I will reply with the link were my property is listed. This email contains a statement that should be a HUGE red flag for anyone interested in renting an apartment or house… “Unfortunately, I don’t have any friends or other person back in United States who could arrange a viewing with you.” This is then followed by an offer to mail the keys after payment is made with a signed contract. NEVER BELIEVE ANYONE IF THEY SAY THAT THEY CANNOT SHOW YOU THE APARTMENT, AND NEVER PAY IN ADVANCE! The final nail in this fraudulent coffin came when Nadia sent the daughter this email containing a link to the Airbnb apartment. Except the link didn’t point to Airbnb.com. A mouse-over revealed that it pointed to a website hosted in Christmas Island, off the coast of Perth, Australia for a web page that is disguised to look like an Airbnb listing. This is NOT airbnb.com! The next morning “Nadia” again provided a link for the daughter to visit the Airbnb website showing the apartment listing. A mouse-over of the link revealed that it still didn’t point to the real Airbnb.com website. But this time it pointed to a shortened URL through tiny.cc. Clearly this is a scam! We couldn’t help but think that it could be run by the same UK scammer we wrote about at the top of this article. Hmmmm…..